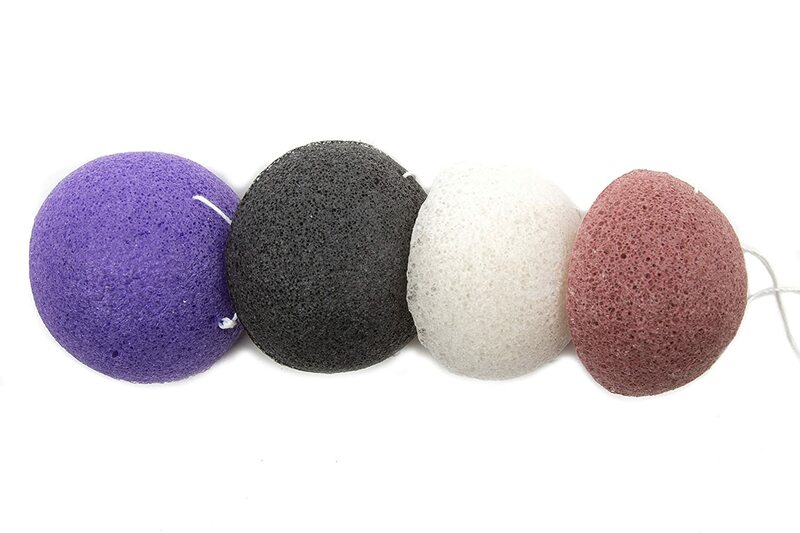 6-PIECE FACIAL SPONGE PACK: Each pack contains 6 semi-circular konjac facial sponges 2.75”x1.5” (7cmx4cm). 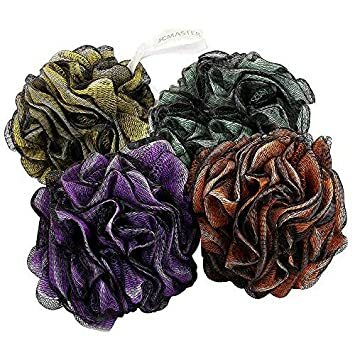 All have a convenient cotton string to hang them. 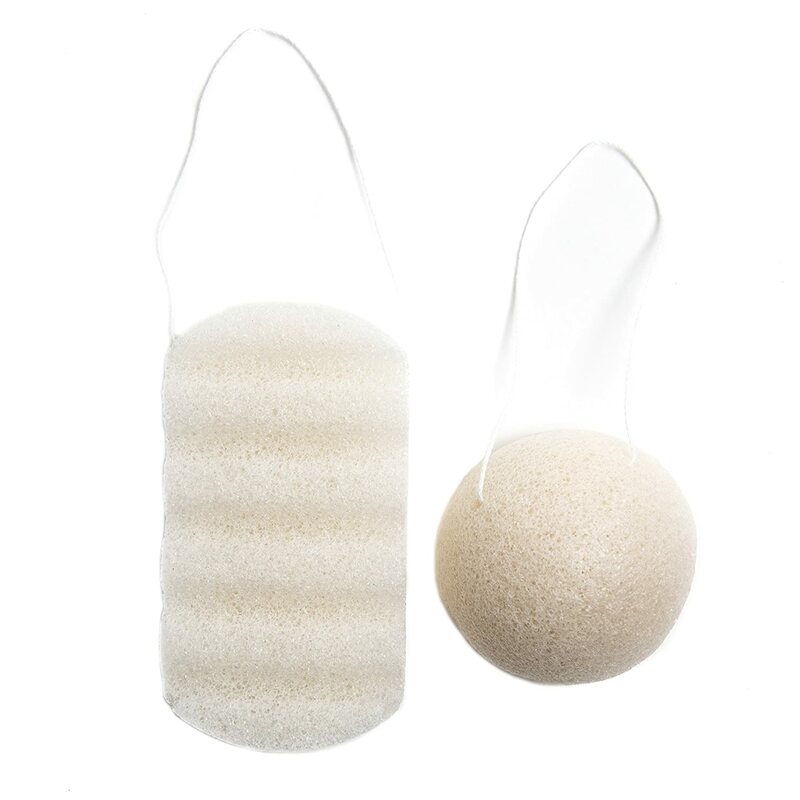 A GENTLE CLEANSER FOR FACE AND BODY: Konjac Sponges effectively clean dirt and excess oil from the skin. 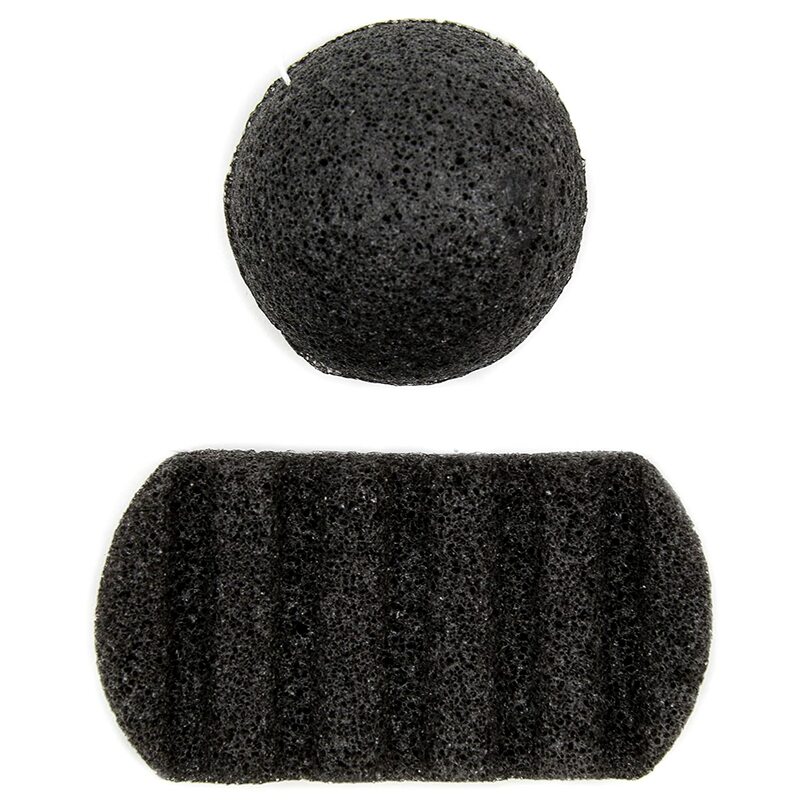 Reduce the appearance of blackheads and blemishes as the sponge fibers gently unblock pores and remove toxins. 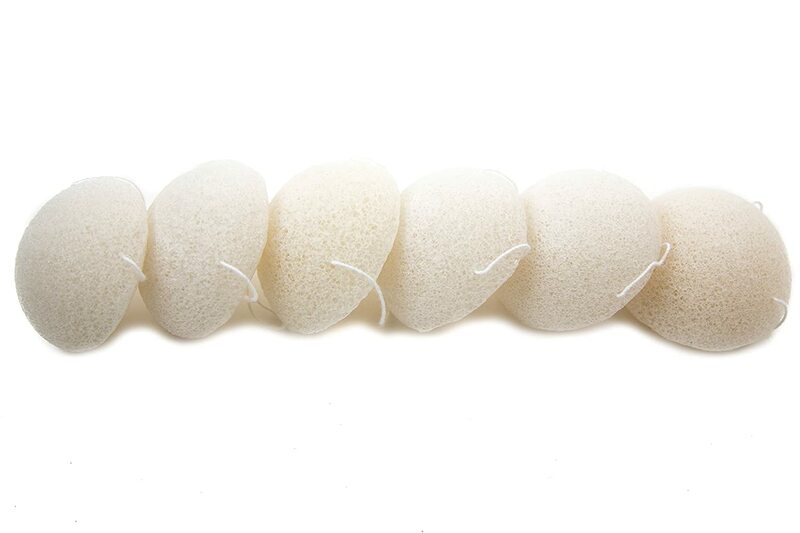 PERFECT FOR ALL SKIN TYPES: All skin types will benefit from the gentle exfoliating action of our konjac sponges. 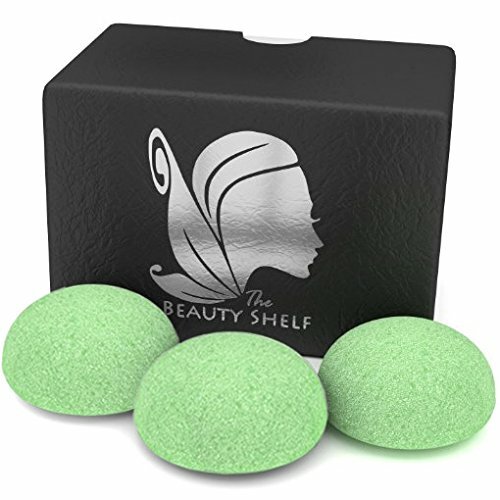 These sponges contain minerals, antioxidants and vitamins, and are also naturally alkaline so they can help to balance the PH of the skin. USE WITH OR WITHOUT CLEANSER: When used with your favorite cleanser the soft and rubbery texture of the sponge creates a rich lather. 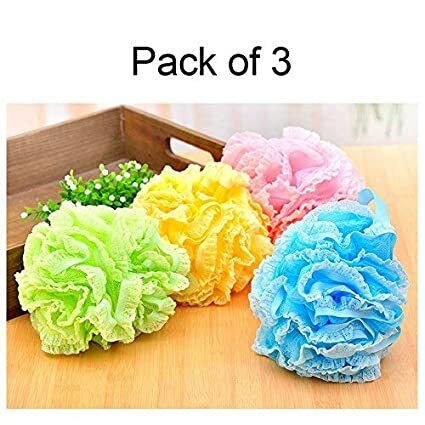 Others prefer using just the sponge and fresh water. 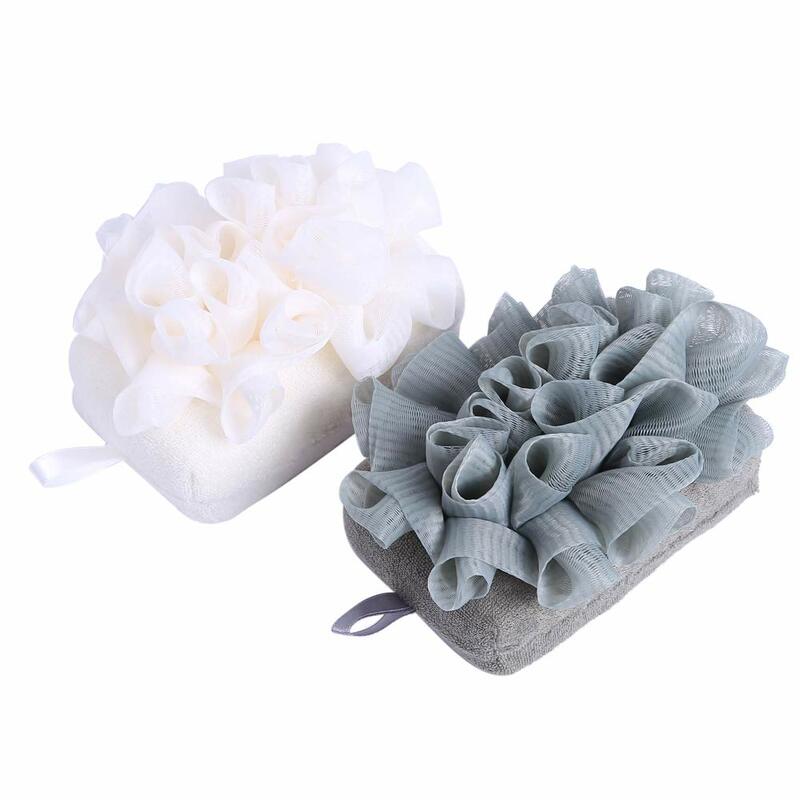 100% BIODEGRADABLE, CRUELTY-FREE AND VEGAN: These sponges are made of fibers taken from the roots of the Konjac tree. 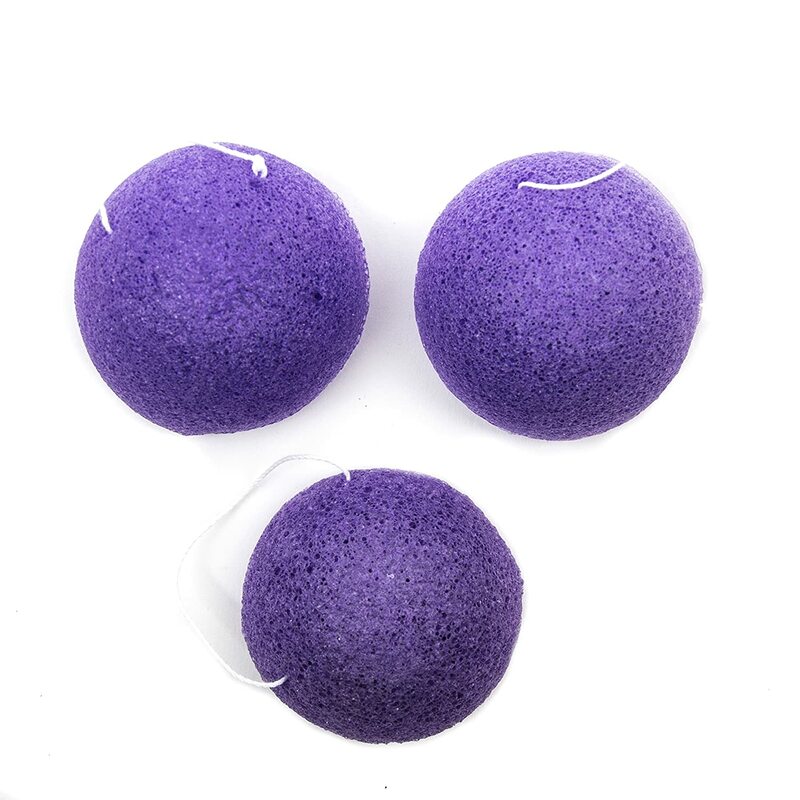 They are completely natural and contain no harsh chemicals or toxins. 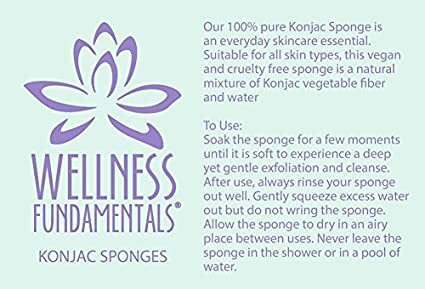 Konjac sponges are kind to the environment and kind to your skin. 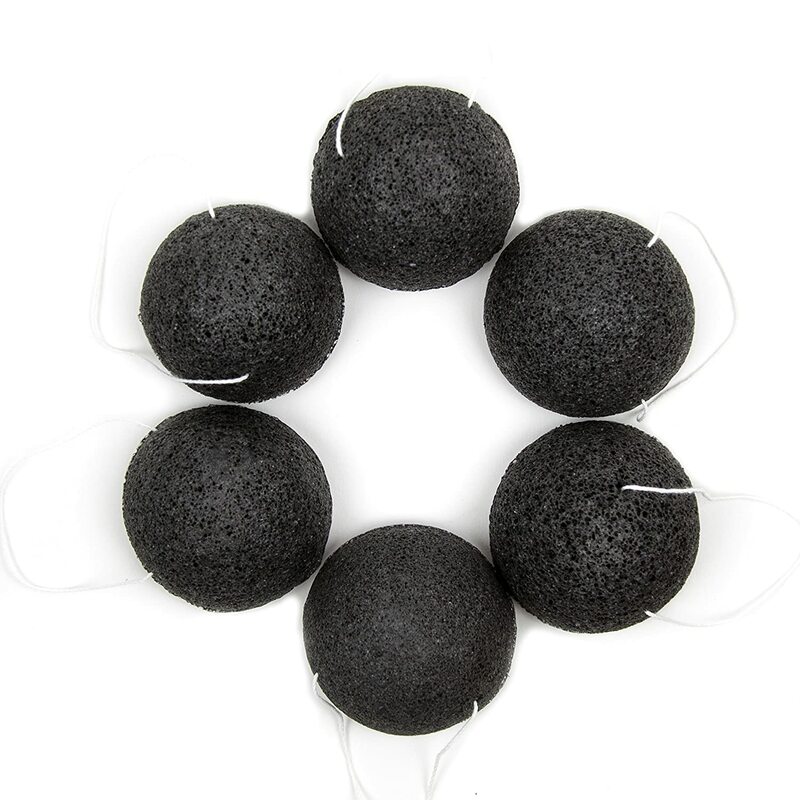 Made from fibres harvested from the roots of the Konjac plant, konjac sponges are 100% bio-degradable, cruelty free and vegan. 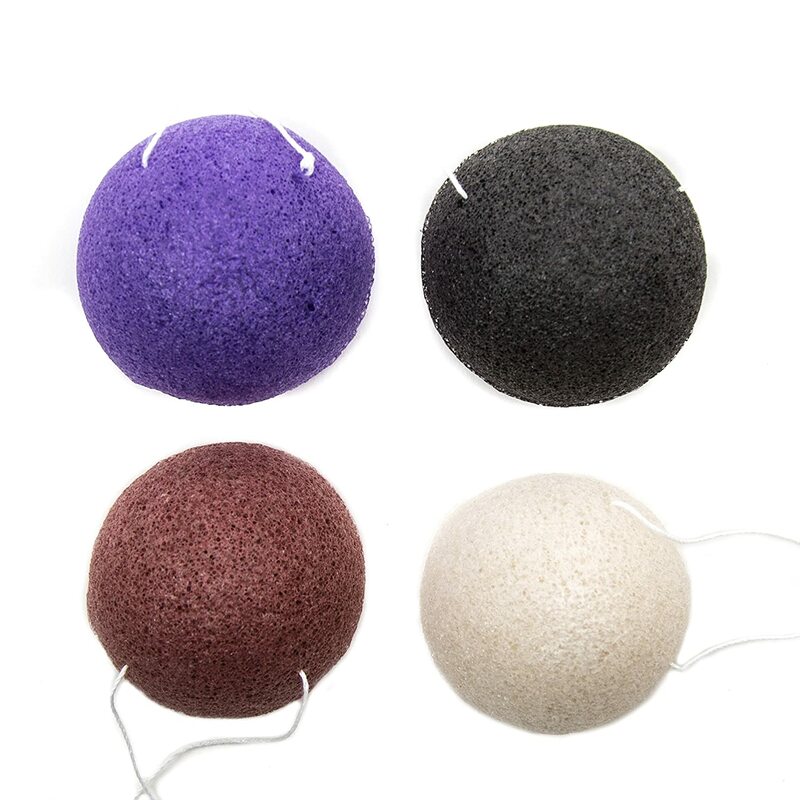 They contain no harsh chemicals or toxins and they are packed with minerals, antioxidants and vitamins A, B1, B2, B6, B12, C, D and E. Konjac sponges are also naturally alkaline so they will help to balance the skin’s PH. 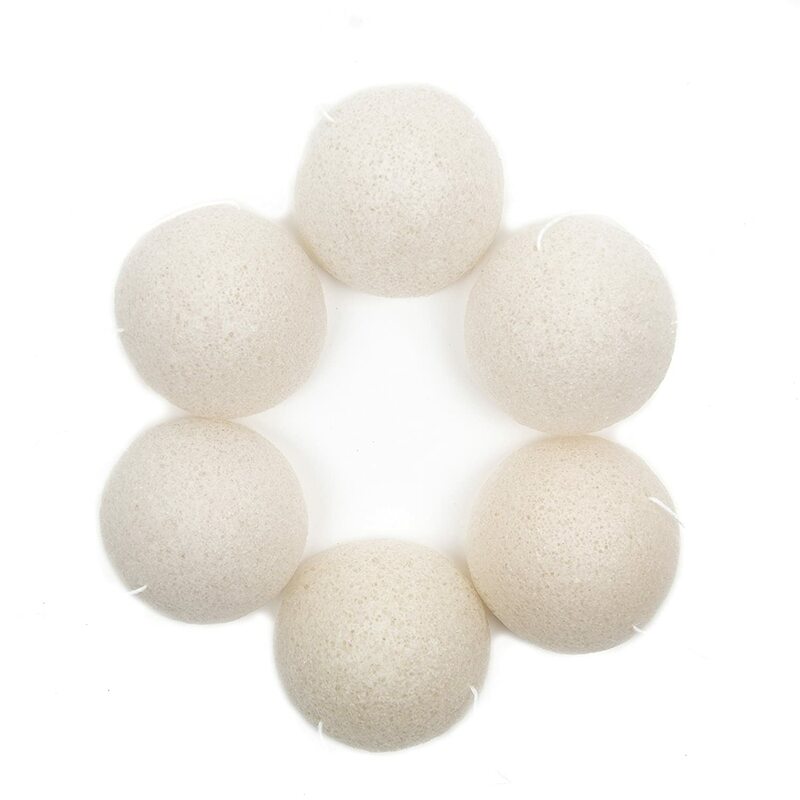 Konjac sponges are an environmentally responsible skincare alternative. This organic skincare product is an everyday essential suitable for all skin types. 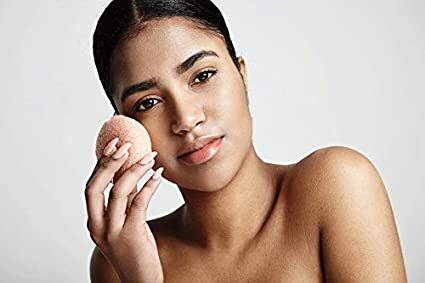 The exfoliating sponge gently removes dead skin and helps to encourage the rejuvenation of skin cells, leaving your skin smoother and more radiant. Effectively clean your skin without drying it out. When used as part of a daily skincare routine the sponge will help to keep skin clear of blackheads and blemishes as the fibres remove the dead skin cells, impurities and excess oil from the pores. The gentle massage and exfoliation will help to improve circulation. Dry and sensitive skin will benefit from the removal of rough and flaky skin. The gentle exfoliation will leave you with a brighter and livelier skin tone. Intended initially for babies the whole family can benefit from the pore refining properties of this product. 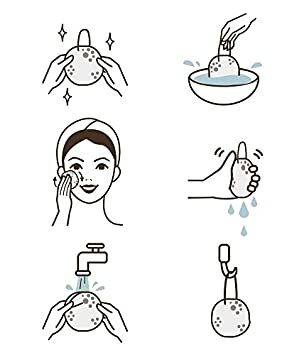 The sponge can be used with or without cleanser. The texture of the sponge creates a rich lather so you use less cleanser, or forgo the cleanser altogether and sponge down with warm water. 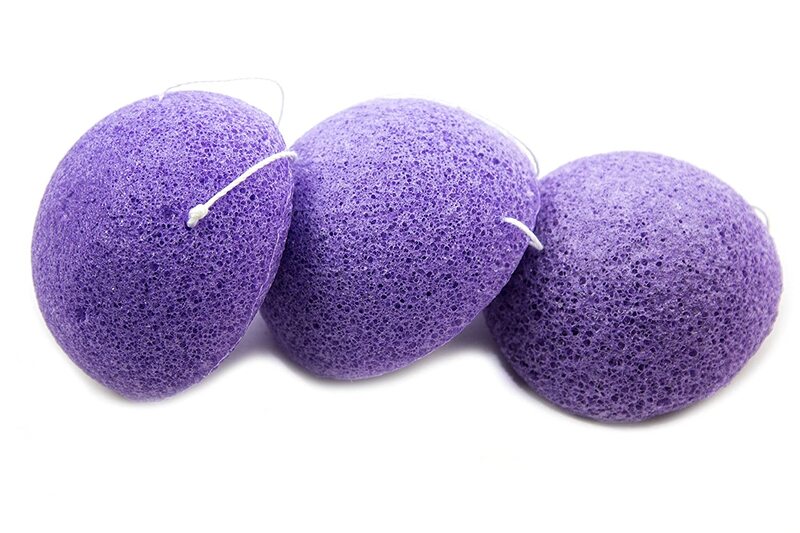 Soak the sponge for a few moments until soft to experience a gentle exfoliation and cleanse. After use always rinse the sponge out well. Gentle squeeze the excess water out. Do not wring the sponge. Allow the sponge to dry in an airy place between uses. Never leave the sponge in the shower or a pool of water.